The Board of Directors of Greenpeace UK normally consists of seven members. The Board of Directors are responsible for strategic decisions including approving organisational policy; approving the organisational development plan; and ratifying decisions made at the Greenpeace UK Annual General Meeting (AGM). The Board’s role also includes approval of Greenpeace UK’s annual budget and audited accounts, and the appointment and supervision of Greenpeace UK’s Executive Director. UK Board ​​directorships are limited to 8 years, i.e. 2 terms of office. The UK Board meets three times in the year and reports to the Voting Members at the Greenpeace UK AGM. 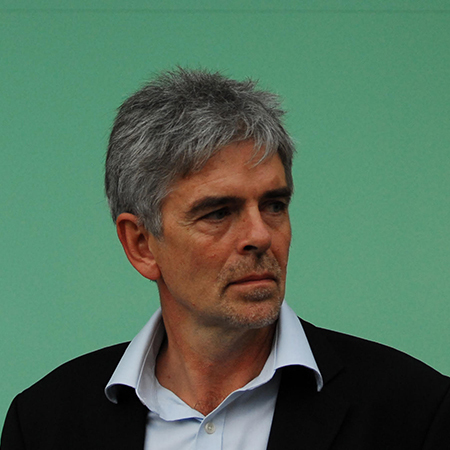 John has been Executive Director of Greenpeace UK since September 2007. Before that he was the director responsible for Greenpeace communications and working on solutions with businesses. As a campaigner he was instrumental in getting protection for the Great Bear temperate rainforest on the west coast of Canada. It was an epic battle, mostly fought in the marketplace involving logging companies, timber traders and their retail customers, and it led to widespread adoption of Forest Stewardship Council (FSC) sustainability certification as standard across the timber and paper sectors. Lessons learnt from the Great Bear campaign were applied elsewhere – notably in Indonesia, the Congo, Central Africa and the Amazon. He co-ordinated the international campaign to secure a moratorium on further destruction of the Amazon by soya producers. It involved eventually bringing together an alliance of US and European multinationals, along with Brazilian soya producers, commodity traders and food retailers. It was one of Greenpeace’s most successful campaigns aimed at protecting the world’s rainforests. John’s current annual salary is £79,000. Andrew has been a member of the Board for Greenpeace UK since 2010 and chair since July 2018. Andrew is an engineer and manager working on the research and development of new technologies in online media. He develops standards, software and algorithms to help people to find and access the content of most relevance to them. He has been involved in Greenpeace and environmental activism for over 25 years. He frequently participates in Greenpeace actions and trains others to take part as well. Lyndall has worked building support for international organisations working on a wide range of issues including the liberation of South Africa, access to treatments for HIV/AIDS, and poverty/inequality. She has worked in a variety of roles as CEO, and as a Director of Fundraising, Marketing and Campaigns – in a wide range of organisations including the African National Congress, ActionAid, Care International, Concern Worldwide, The Terrence Higgins Trust, The Big Issue, BOND, Practical Action, VSO, The International HIV/AIDS Alliance and Save the Children. She is also a Board member of The Refugee Council. Ed is a writer, communications specialist, environmental campaigner, serial green entrepreneur and futurist. He is the author of ‘Only Planet – a flight-free adventure around the world’ a book about his circumnavigation of the globe without getting on a plane. Ed is also co-founder of Futerra, a change agency that specialises in business transformation, sustainability and creative communications and campaigns. Ed is actively involved in a number of other pioneering businesses as a Director or Investor, from Zero Carbon Food, a renewable energy powered, LED-lit, hydroponic farm in a disused underground tunnel in South London, to Loco2.com a pan European rail-ticket agency that makes it as easy to book a trans-continental train as a plane. 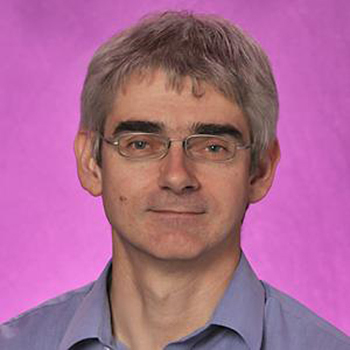 He is also a London Sustainable Development Commissioner, advising the Mayor and the Greater London Authority. Peter is a Professor of International Relations at the University of Sussex. For over nearly 25 years he has conducted research, consultancy and advisory work on issues of climate change, agricultural biotechnology, corporate accountability and trade policy working in a number of countries including Argentina, Brazil, China, Ethiopia, India, Kenya, Mexico and South Africa. In recent years his research has mainly focussed on the political economy of carbon markets and low carbon energy transitions. Besides working for academic institutions, he has undertaken commissioned research and policy work for the governments and international organisations. He has worked for NGOs such as Friends of the Earth and Climate Network Europe and with groups such as Practical Action, Transparency International, Care, Centre for Trade and Sustainable Development, and the International Council on Human Rights Policy. He is a member of the board of the Brussels-based NGO Carbon Market Watch and the advisory board of the Green think-tank Greenhouse. He is author and co-author of numerous books on environmental politics. strategies at some of the UK’s best known charities, including Christian Aid, Friends of the Earth and Crisis. Ruth also built a fundraising programme from scratch at the Canal & River Trust, the UK’s largest ever start up charity. Ruth is Executive Director of Impact and Investment at Comic Relief where she is responsible for their global philanthropic portfolio as well as their policy and advocacy work. Ruth brings specific expertise in fundraising and finance to the Board of Greenpeace UK as well as extensive governance experience, having previously served as a Trustee of Oxfam GB and Galapagos Conservation Trust. With a broad background in marketing, fundraising and campaigning, Shabnam Amini has been communicating with consumer audiences since 2001 with experience in the private and not-for-profit sectors. Her experience spans financial institutions, fashion and publishing, as well as working for charities including CARE International, WaterAid and Age UK. Since 2005 Shabnam Amini has inspired individuals to support non-profits through a variety of channels, from TV advertising to digital, press and PR. Currently she is the Executive Director for Fundraising, Partnerships and Communications at CARE International in the UK where she has led on globalising the gender equality campaign, #March4Women, from a march and rally of 200 people in 2012 in London, to 200,000 people taking part in 16 countries in 2018. Shabnam is also a Board member for Africa Advocacy Foundation, a grassroots health charity working in South East London with communities affected by HIV/Aids and FGM. Farhana Yamin is an internationally recognised environmental lawyer, climate change and development policy expert. She has advised leaders and countries for over 25 years. In addition to founding Track 0, she is an Associate Fellow at Chatham House. She has taught climate change law for many years, including as a visiting Professor at University College London. Between 1996 and 2002, she was a negotiator for the Alliance of Small Island States, working on the Kyoto Protocol and its market based mechanisms and was also Lead Author for three assessment reports for the Intergovernmental Panel on Climate Change from 1996-2008. She was an Advisor to the Republic of the Marshall Islands (RMI) for the 2015 Paris Agreement and played a key role in building the High Ambition Coalition, led by RMI’s Minister Tony de Brum. She is widely credited with getting the goal of net-zero emissions by mid-century into the Paris Agreement. From April 2016- July 2018, she was the Climate Change Advisor to H.E. President Hilda Heine of the Marshall Islands and was RMI’s Focal Point for the Climate Vulnerable Forum (CVF) and it’s sister Finance Ministers’ Initiative called the V20. The CVF is an alliance of 48 vulnerable countries which pioneered a unique virtual summit on 22nd November 2018 to raise global ambition. She continues to provide legal, strategy and policy advice to NGOs and foundations on international climate change negotiations and climate litigation relating to the Paris Agreement. If you would like to contact the Board or have any Board related inquires please email rhona.downie@greenpeace.org.